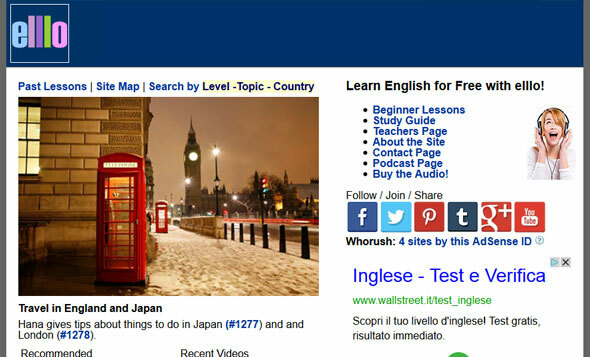 elllo.org, the English Listening Library Online, provides free English listening lessons for students who are studying English as a second language, from high-elementary level upwards. The site was created and is run by Todd Beuckens, an English teacher based in Japan. Currently there are over 2000 listening activities on the site for students to listen to, many accompanied by related reading and vocabulary practice activities. The latest audio lessons include slide shows, text views, audio notes and more. These English audio lessons cover a huge variety of topics and have taken over 6 years to accumulate. If you want to practice your listening skills, visit this site. You won't be disappointed.